Even before the holiday season started I’ve had this dream of baking a bunch through the holidays. 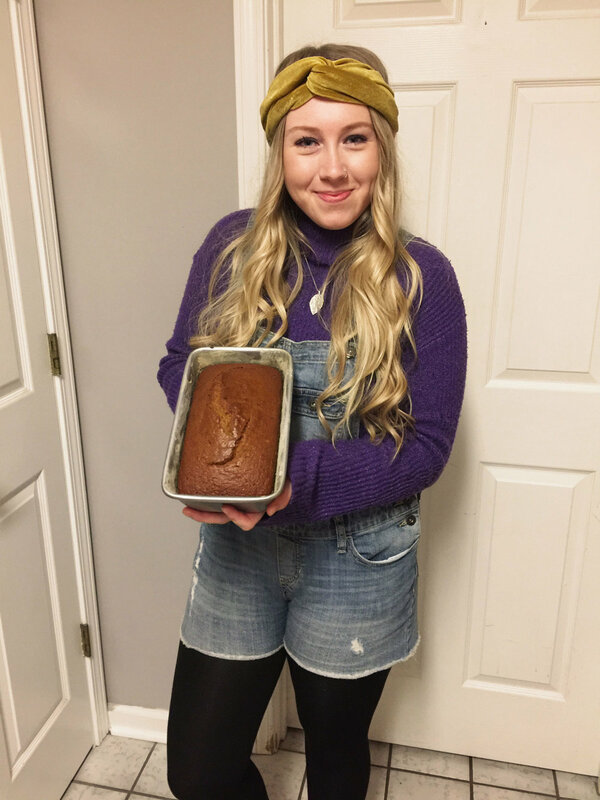 I’ve watched my grandma make her pumpkin bread while growing up. It was a staple at Thanksgiving and Christmas gatherings, and still is! After I had the idea of making the pumpkin bread this season, I called my grandma asking a few questions before I made my first batch. (Cooking always makes me nervous! Haha!) Then I asked her where she got the recipe from or if she had made it up herself. She said it had been so long she didn’t remember who gave it to her. A few years ago my grandma gave me her vintage mixer! It was so fun using it while making my first batch! 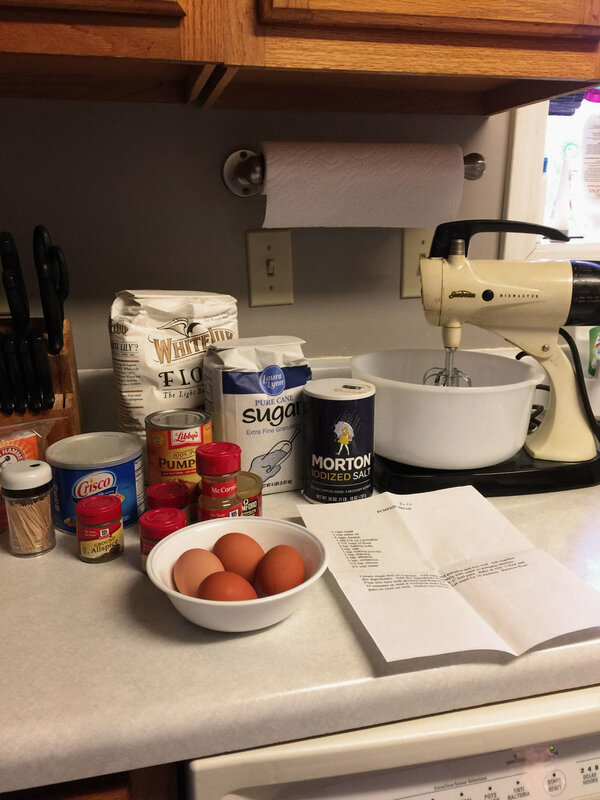 Here are some photos I took during the baking process, and the pumpkin bread recipe will be attached below. It’s SO easy to make! Baking Soda - 2 tsp. Baking Powder - 1 tsp. Add cream, sugar and oil together. Add eggs and pumpkin and mix well. Sift together dry ingredients. Add dry ingredients alternately with water to pumpkin mixture. Pour into two well-greased and floured 9'“ x 5” loaf pans. Bake at 350 for 1 hour and 10 minutes or until the toothpick test is done. Let stand for 10 minutes. Remove from pans to cool rack. This recipe makes TWO loaves. *Please keep in mind all ovens bake at different speeds. For example, at my house our oven is quite old and I was able to cook these two loaves for 60 minutes at 350. They will continue to cook due to being so hot after you pull them out of the oven. 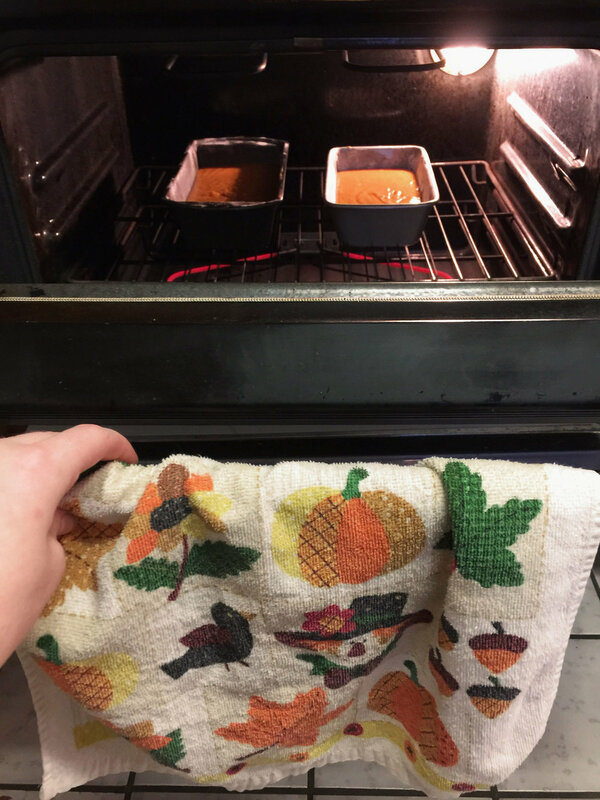 So if you have a newer oven, keep an eye on them for the last bit! If the loaves cook too long it can result in dry bread and a hard outer brown layer. I am not a professional baker in any way, just sharing my tips from personal experience. I hope you all enjoy and are able to share this treat with your loved ones this holiday season!